Norell is a beautifully-blended green floral that approaches chypre-hood but stops short, like a woman who removes the one accessory — a statement necklace or stiletto heels — that would make her outfit more formal. It starts off bright and fresh from lemon, bergamot and the tartness of galbanum; moves into radiant floral mode with classic rose and jasmine, spicy carnation, and the difficult but beautiful screechy/pissy narcissus; and dries down to a slightly sweet and soapy/woody floral warmth like suntanned skin plus flowers. Speaking of summer, it's super-hot in New Orleans, and Norell seems like it would be a wonderful floral for this heat. If it blooms on your skin, you won't have to worry that it will misbehave, as an indole-heavy floral would. Its greenness would keep it in check. Norell made me realize that I rarely review vintage florals. Lots of women, adhering (mostly without knowing they are) to Coco Chanel's dictum that a woman should smell like a woman and not a rose, find the floral category matronly, unsexy, or (gasp!) too conventional. I get that, trust me. But I'm beginning to think that floral beauties like Norell and Fidji (another Josephine Catapano creation) are the little back dresses of the perfume world. Sometimes, you just want to smell good without thinking about it too much, or without putting on a "make it a night he'll never forget" kind of perfume, which was Luca Turin's amusing description of Poison in Perfumes: The Guide. What distinguishes Norell from some of the flower bombs (ahem!) of today is its green opening and its development toward a soft, ambery/woody dry down. It does its dazzling thing for a bit, and exits softly and with grace. For the person who thinks an animalic perfume might be too oppressive in heat, or that a predominately green fragrance is just too bracing, Norell's green floral is the summer bed that Goldilocks would feel comfortable in. Not too warm, not too cold. Just right. I got a sample of the vintage stuff from the lovely Leslie Ann at Miniature Perfume Shoppe, a great place to indulge in vintage without breaking the bank. Hi Barbara, thanks for the review. I've been tempted to pick up some Norell ever since Angela reviewed it on NST. I get the point that the modern version should be avoided at all costs, but of the vintage stuff out there, do you know anything about the concentrations? I see there is a cologne and a 'spray mist'. But my normal rule of thumb is to go for a more concentrated versions of things, if I can afford it, unless I'm looking for a summery cologne, and at the moment I'm not. Any thoughts? I love this stuff - still trying to score a vintage bottle that's not too expensive but is still good. It falls into its own category, really, such a warmth to it even with its green aspect. It's ageless and a true classic, and I really, really wish it had not been reformulated to the point of utter ruinaton. Wieviel kostet diese Parfum und wo kann ich es kaufen? I have not smelled reformulated Norell, so I can't tell you if it's like the vintage one I've reviewed here. Are you able to buy vintage on eBay? Yes, I do love Norell- vintage of course- I only truly love the vintage perfumes. I can spot a reformulation at 50 paces. I have so many lovlies... I couldn't believe the good fortune on Ebay... all that vintage Norell for less than 60 bucks. Indeed Ebay has been my friend. I stumbled upon your blog... I love this site, and your reviews. I have frequented this site for several weeks now. Love it. Keep it up please. Hi Cathlyn. Glad you're enjoying it! I like your idea that "sometimes a beautiful fragrance is all a woman has to hold onto," that this insubstantial liquid in a bottle could actually give so much pleasure and joy. Do come back and comment! I *just* got my hands on a bottle of vintage Norell parfum and I am in LOVE. What a beautifully blended floral song of a perfume. Your 2nd paragraph in this post describes it perfectly. What I love is the low sillage. I was afraid when I first lifted the stopper and smelled the galbanum and florals- would this smell strong and dated? Not so. It is smooth and feminine without screaming PERFUME. It has been amazingly hot here this summer and you're right. Norell blooms beautifully in the heat and is just smooth as silk. A green purring beauty. I had Fidji awhile back but perhaps wasn't ready for it. I may have to revisit! the year Ken and I were married. It instantly became my favorite scent. Everytime I wore Norell I felt special,confident, and I knew that Norell would last all day. Norell made me smile.In recent years I have had trouble finding this beautiful fraqrance. It is heaven knowing I can still purchase my all time favorite.....vintage of course!! Thank you for such a lovely perfume!!!!! Get it while its still available in vintage form, Sandy! Thanks for the story. I think its a very modern perfume the holds up nicely. Its composer, Josephine Catapano, passed away this year. I love the smell of a great woman's perfume as as much as the next guy, but really... "Hyacinth, galbanum, bergamot, narcissus"? Do you *actually* know what those smell like? And even if *you* do, how many others do? ISTM that this is wine snobbery by another name. Hi Ron. Well, I've smelled hyacinth flowers before, and I have essential oils of all the other ingredients. I make it a point to smell and own every perfume note and accord I can, including the synthetics. You'd be surprised how passionate perfume lovers are. It is unfortunate that wine snobbery is the association you make with perfume love. I've actually found that most perfume lovers I know are down to earth and funny. Where can I purchase some of this. I had this is mid to end of 1990's. Where can I purchase and how soon is delivery? 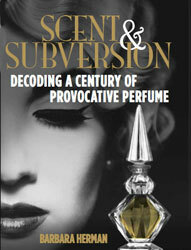 Yesterdays Perfume is a blog about vintage fragrances and scent culture. I dont sell perfume. Try vintage Norell on eBay! Good luck!